The big September reveal-a-thon is set to continue tomorrow with some new product announcements courtesy of Amazon, but a rival player in the e-book space is trying to capture some thunder of its own prior to Amazon’s big show. 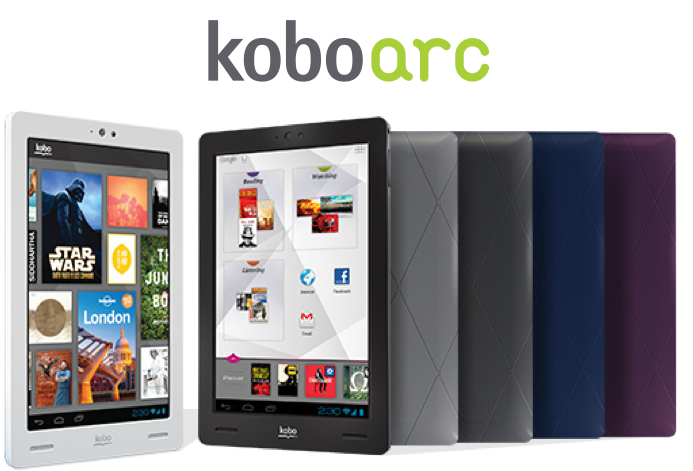 Rakuten-owned Kobo has just officially unveiled a slew of new e-readers (plus an Android tablet, naturally) in an attempt to cement its place as a serious competitor despite its persisting status as an underdog. First up is the $79 Kobo Mini, which sports a 5-inch E-Ink touch display along with 2GB of internal storage (sorry folks, no expandable memory here), WiFi, and Kobo’s now-standard social reading features. The next step up from there is the $129 Kobo Glo, a slightly bigger device that totes the same WiFi radio and internal storage (plus a microSD card slot), and pairs them with a 6-inch ComfortLight touch display running at 1024 x 768. Both devices seem decent enough for the price — its worth noting that the lineup bears more than a passing resemblance to Barnes & Noble’s Nook lineup though — and Kobo’s vivid color options for the two devices should help them literally stand out in a crowd. Of course, Kobo just couldn’t help but throw its hat into the low-cost tablet space (again) with the Ice Cream Sandwich-powered Kobo Arc. You can’t blame them for taking a another swing at concept when you consider how underwhelming Kobo’s previous Vox tablet was, but this particular segment is seeing plenty of action from more established players. That said, Kobo’s Arc has a few tricks up its sleeve — in addition to just recommending books based on personal tastes for instance, the device’s Tapestries feature surfaces allows users to “pin” content like books from the Kobo library, Wiki pages, images, and YouTube videos. In addition to acting as a centralized hub for all that media, the Arc also uses all of that information to recommend new content based on user interests. It certainly doesn’t hurt to have a half-decent spec sheet either, and the Arc doesn’t seem too shabby — it packs a 1.5GHz dual-core TI OMAP 4470 processor, 1GB of RAM, a 7-inch IPS display running at 1280 x 800, and 1.3-megapixel front-facing camera for all those late night video calls. The Arc will be available in both 8GB ($199) and 16GB ($249) variations, though its tough to say how much of a chance either model will have with a new Kindle Fire right around the corner, but hey — there’s no such thing as too much competition, right? Correction: The headline originally stated that the Kobo Mini cost $99, but it actually costs $79 (as noted in the body of the post). This was because I am an utter dope–my apologies.